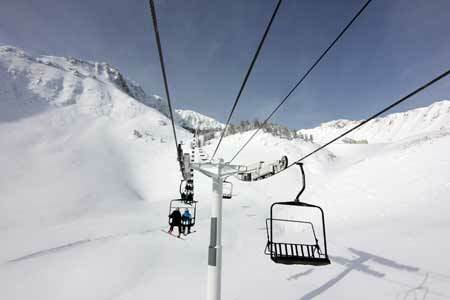 Looking for the Big Sky Montana Snow Report? You've come to the right place. Snow is a major part of our lifestyle and livelihood in Big Sky, Montana. 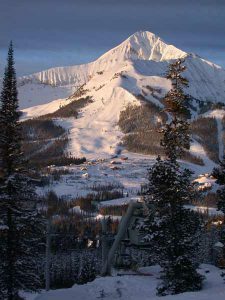 As a mountain town that's home to the Biggest Skiing In America at Big Sky Resort, world-class cross country trails at Lone Mountain Ranch, top notch snowmobiling through the Gallatin National Forest, and endless backcountry skiing and snowshoeing terrain we definitely rely on snow for work and for play. No one can control the weather. That's why we all keep our eyes on the latest weather forecast. The weather we receive on a daily basis dictates the snow conditions that we see on the mountain and in town. Whether you're a local or a destination guest, paying attention to the Big Sky Montana snow report can help you dress for a day in the great outdoors or arrange you trip or schedule to ensure that you get to ski and ride on the absolute best days of the year. The Big Sky Montana snow report is pretty important. The best plan of attack for monitoring snow conditions in Big Sky is to tune in to the weather forecast and snow report on an ongoing basis. This will help you get a season long view of what's happening in Big Sky and give you a jumpstart for when the next storm is going to roll in - ideally maximizing your powder days and boosting the fun factor! Weather can be a complicated topic. Pick your favorite links from above and book mark them on your desktop and smartphone. 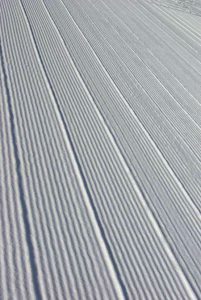 Check them regularly so that you can stay up-to-date on snow conditions. Pay attention and you'll be able to find snow conditions, surface forms, freezing levels, storm accumulations, grooming reports, avalanche hazard ratings, temperatures, wind direction, precip probability, wind chills, and other factors that directly impact the Big Sky Montana snow report. One friendly reminder: Conditions change. A storm today, doesn't necessarily mean it will powder conditions three days from now. But that's the beauty of skiing - every day in the mountains is a good day.